We advise our clients on retirement income, asset allocation, risk management, credit and mortgages, education funding, estate transfer, alternative investments, major purchase funding, and insurance products. Do you have a go-to financial advisor who can handle these issues? Through our Technical Allocation Program, we monitor our clients' portfolios on a monthly basis. In addition, we conduct quarterly phone updates and weekly e-mail updates. We meet each client at least annually and many semi-annually to update and advise on all financial issues. We are always available for client-initiated phone calls and e-mails throughout the year. How often do you hear from your current advisor and how often does he/she monitor your investment portfolio? Our management fee is fully transparent and easy to identify on client statements. Investment returns are after all costs and fees are deducted. Since our fee structure is based on a flat percentage of the assets we manage, the better you do the better we do. 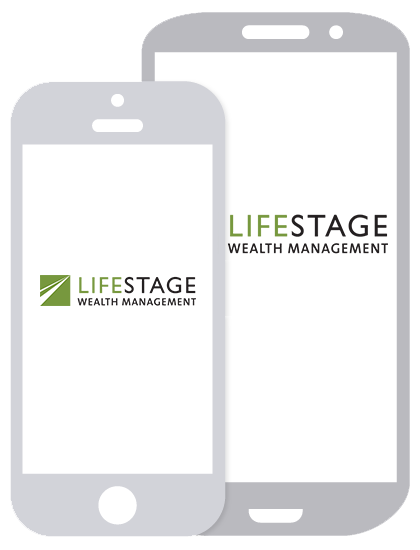 This partnership matches our objective, to have a long-term mutually beneficial relationship as your wealth advisor. Do you know what you pay your current advisor? Many are compensated through commissions, mutual fund loads, or other fees which are expensive and difficult to understand. We send out consolidated quarterly reports which show transparent performance reporting as compared to various benchmarks. In addition, fees are clearly shown and all performance information is after fees and costs are deducted. Do you know how your current investments are performing and what your actual costs and fees are? We incorporate tax planning within our retirement income suggestions to minimize the tax impact of generating your retirement income. Our investment portfolios are also managed for tax efficiency by utilizing tax efficient investments such as ETFs or exchange traded funds. Our goal is to minimize the tax impact of our clients' entire investment, retirement, and estate plans. Does your current advisor help you minimize your income tax liability and also interface with your tax preparer to maximize your tax savings? Dependable, reliable, honest, trustworthy, integrity, confident, responsive, listener, thorough, knowledgeable, accommodating, personal, accessible, new ideas, diligent, great communication, make me feel like I am LSW's only client, team is approachable, open ears, open eyes, open mind. (Client comments from a recent client survey). What words would you use to describe your current advisor?